Known as a ‘legend’ around these parts is a gentleman who has put in over 35 Seasons at his local Surf Life Saving Club – Avalon Beach. Avalon Beach SLSC is very fortunate in having a large number of members willing to serve the club, and through it the community of which the surf club is an integral part. This year at Avalon Beach SLSC’s Annual General Meeting the prestigious award of Life Membership was conferred on the Club’s Vice President Peter Carter. Pete has provided sustained and outstanding service to the club over the 36 years he has been a member. Peter joined the club as a 4 year old Nipper and after gaining his SRC, Bronze and IRB Drivers became Junior Club Captain and was awarded the Junior member of the Year in the 92/93 season. Pete has been rowing for the Club since the mid 90's and has won Gold at State and Nationals. He has been awarded the President's Award, the Norman Cook Club member of the Year and the Award of Courage and is Vice President of the Club. Pete was presented with Life membership by Michael Byrne OAM who is the Chair of the Life Membership and Service Honours Awards Committee. I was born in Mona Vale Hospital in 1975. I grew up here, born and bred in Avalon. What was it like in Avalon while you were growing up? It as awesome, a great place to grow up. My grandparents had a house in Careel Bay. I’m a related to the Gilberts. Tom Gilbert is my uncle. We were always playing in the mangroves at Careel Bay having fun with my sister and cousins. It was rugby league during the Winter and the Surf Club during the Summer. I played for the Bulldogs during the 1980’s, and played over 200 games for the mighty Bulldogs. My family were very involved so it was a whole team effort. The Bulldogs have done really well this season! Yes, the boys went really well this year. I still really enjoy going down to Hitchcock Park and cheering the boys on. I’ve seen a lot of changes, Avalon has become quite trendy now, where it wasn’t when I was younger. I went to Avalon Primary School and Barrenjoey High School. I left school in 1990, Year 10, and became a Landscape Apprentice and then a Landscape Gardener by trade. I shifted from doing this as I matured and now work as part of the AFP in the area of Protection. I moved to this a little over five years ago for a couple of reasons; it was time for a change and job security – when it rains, you’re still on duty. Avalon Beach SLSC – did you join as a Nipper? Yes, at the age of four. Warren Young was my Age Manager and mentor the whole way through all the age groups. I went through all ages of Nippers, wasn’t much of a competitor but loved being on the beach every Sunday. I then went on to the Senior Club where I became Junior Club Captain and began to get involved in the Committee side of the club. 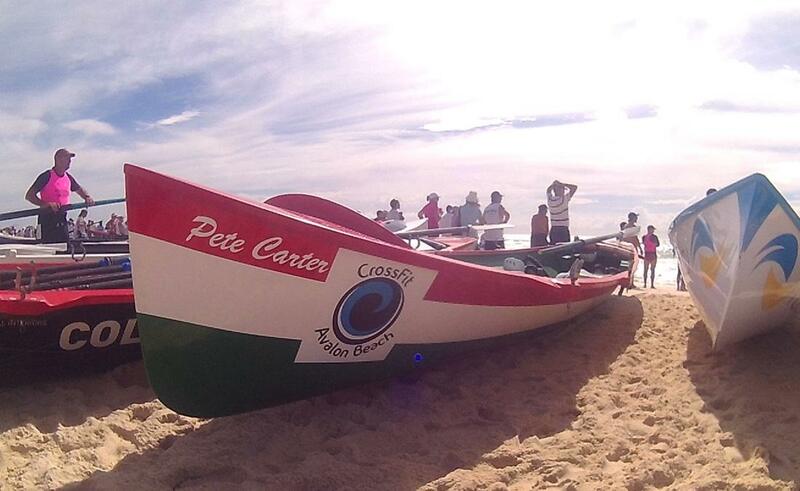 I then took up surf boat rowing and this is really where my life changed – it’s awesome. I started with a couple of mates, Rick Millar was obviously our sweep – I rowed most positions in the boat but Bow was always my favourite position. We were always reasonably successful and ended up getting a few good results. We won the Uncle Tobys series as young fellas and made many Australian titles finals. Our crew ended up with a reputation of being fairly unlucky, always being up there at the business end but never winning the big one. The core of the crew still row to this day and since becoming masters’ competitors we have won multiple Australian titles. What’s the best part of being involved in surf boat racing? It creates a good healthy clean living lifestyle, keeping fit and enjoying the time with your mates. You become quite close working together as one team in a surf boat. The mates I rowed with are still my best mates. We were a bit special as crew, as the core of the crew stayed together for nearly 15 years, we still see each other now and catch up for dinners. They were all my best men at my wedding. I would have to say rowing with Bjorn and Shaun Wolthers, Daryl Johnson and Adam Scofield has really changed my life and Rick was like a father to us all. We also were able to travel a lot, seeing most of Australia, even getting the chance to row in South Africa for the World Surf Life Saving Titles. The IRB’s – you’re involved there too? Yes, IRB racing is raced in the winter so as well as playing footy I managed to fit racing IRB’s. I am still racing these now and with my Driver Paul Jones we have had a lot of great results. 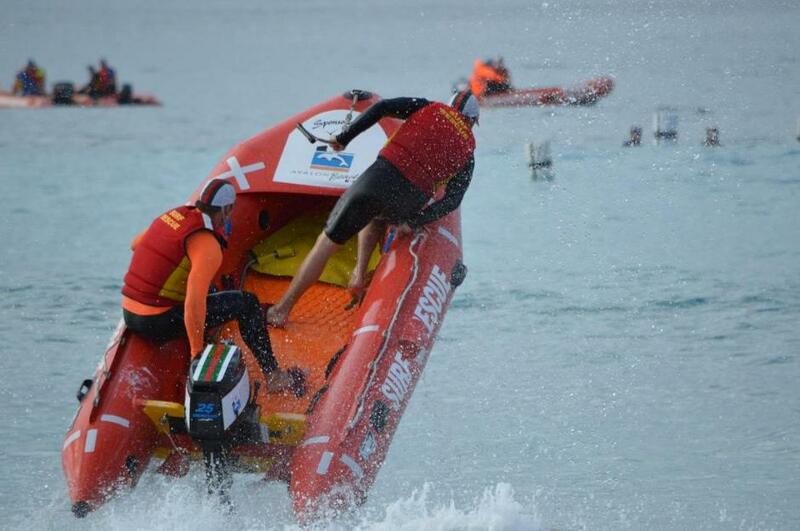 Avalon Beach SLSC started the IRB’s in Australia – so there’s a great legacy to take forward for members? Yes, Warren Mitchell initiated these back in the day, so it is great that Avalon Beach are still very competitive. IRB racing has undergone a lot of changes for Occupational Health and Safety reasons but it is still a lot of fun. The IRB races are restricted to Winter carnivals as they’re required to be on the beach during the Summer Season as part of the Patrols. You have to be a pretty special person to race IRB’s in the middle of winter at times; the beach can get pretty cold. 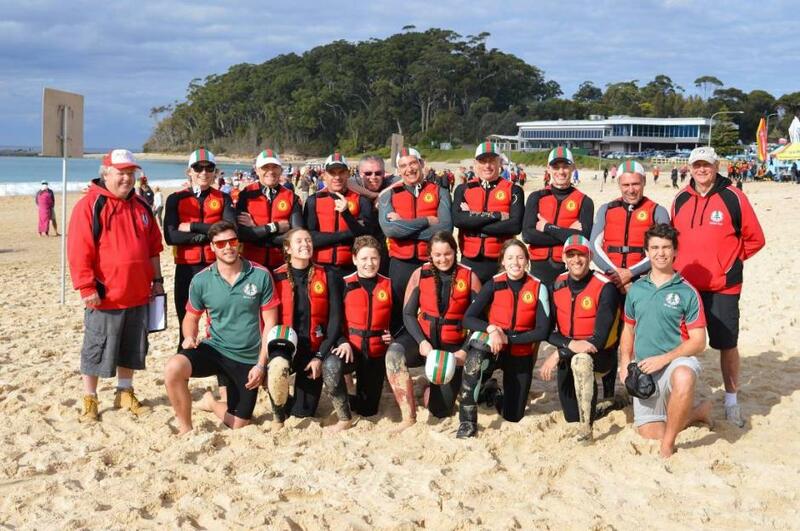 We had a few good results at the State Titles last season, IRB’s is also a fantastic way to keep younger members involved, there is quite a team effort needed. Patrol Season begins September 19th this year – what will be your area of focus this Season? I don’t actually do normal Patrols on the beach anymore as I’m involved with Branch and complete Support Services Patrols. I’m part of a service called Support Ski 2. This involves doing Jet Ski patrols out of the Newport Surf club. I complete patrols from Newport Beach to Long Reef and back. We basically support all surf clubs in our patrol zone and can be called out when ever required. That’s a big commitment – you work fulltime and then take on those duties throughout the Season – where do you get your energy from? There are a lot of volunteers out there that give up a lot of their time but for me it’s really just part of my life, I can’t give it up. I love the life style. You have been awarded your Life Membership at Avalon Beach SLSC this year, one of the youngest Life Members, how did it feel to receive that? It was an honour really, I’m only 40 years old and I didn’t think you became a Life Member until you were a bit older. Avalon Beach SLSC has been my second home, (my mum would say my first home), so it was really an honour to be awarded this. Having put in 36 years at Avalon Beach SLSC, what would you say to a 10 or 15 year old who hasn’t had that experience – what has it given you? The surf club gives you so many opportunities. It really creates leaders, surf life saving, gives you life skills and it looks good on a CV, it great to give something back and build your community, it teaches you commitment and supplies a little bit of discipline. It keeps you fit, promotes a good healthy lifestyle can only be viewed as a good thing. You will also meet people with a bit of backbone so to speak, mates who are all out helping the community and the people who are going to have a go in life. How has it benefited you as a person – how does it make you feel? As I said it makes you feel good to help out the community but the surf club also gives you confidence for life, it gives you Life Skills. You don’t realise this but you are getting basic little life skills out of being part of the surf club. These are the base skills, to obtaining your Bronze medallion, being able to do First Aid, keeping fit, it’s not just that though, it’s the Public Speaking and engaging the community, talking to people, being able to communicate with people, and the way it promotes confidence in yourself. So it’s not just about what you learn through becoming a life saver, there is an overall benefit that grows conviction and self-respect for yourself. On top of this, it makes you feel good when you’re helping people. 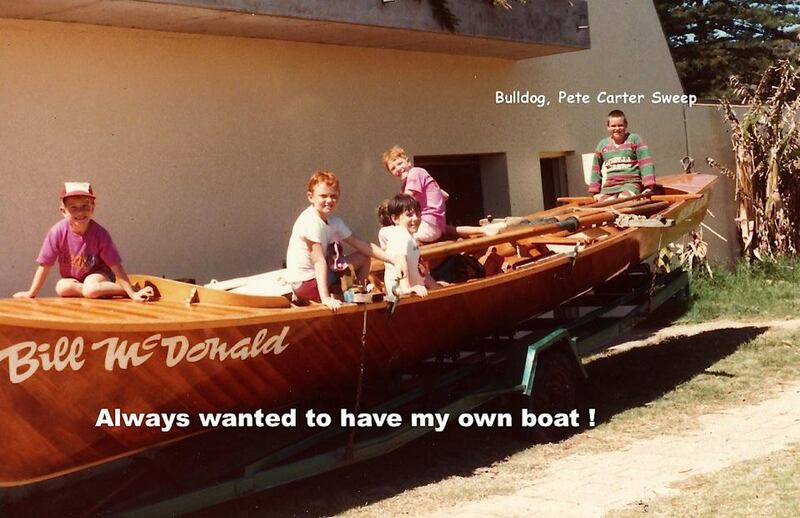 Everyone keeps stating you’re a legend Pete – what would you put this legendary status in our community down to? (laughs) I wouldn’t say that. It’s more that I have been lucky to compete with good mates. I haven’t done anything by myself, I’ve always had my mates with me and its about teamwork and a team excelling, not me. Apart from Avalon Beach itself, Careel Bay has a big place in my heart as well, Careel Bay is where we grew up. My uncle and my cousins, we’d all always go there to Nan’s for Christmas, so that holds a really special place in my heart. Mum was a Gilbert, so Gilberts have been in Careel Bay for a long time, it’s a special place for all of us. You can’t be great at something you’re not passionate about. I was never really that academic so I believe if your attitude is positive and true you will succeed.